You’ve undoubtedly heard the term phlebotomist or phlebotomy before, but what is a phlebotomist and what exactly do they do? In simplest terms, a phlebotomist is a medical technician who’s been trained to draw blood samples, also known as venipuncture, from patients as well as perform various laboratory tasks. Although some medical professionals practice phlebotomy, especially those in small offices, most blood donation organizations and medical centers maintain a specific staff of phlebotomists who handle the collection of blood samples. Phlebotomy itself is not a new medical practice, and unbeknownst to many, actually has a rich history dating back to ancient times. 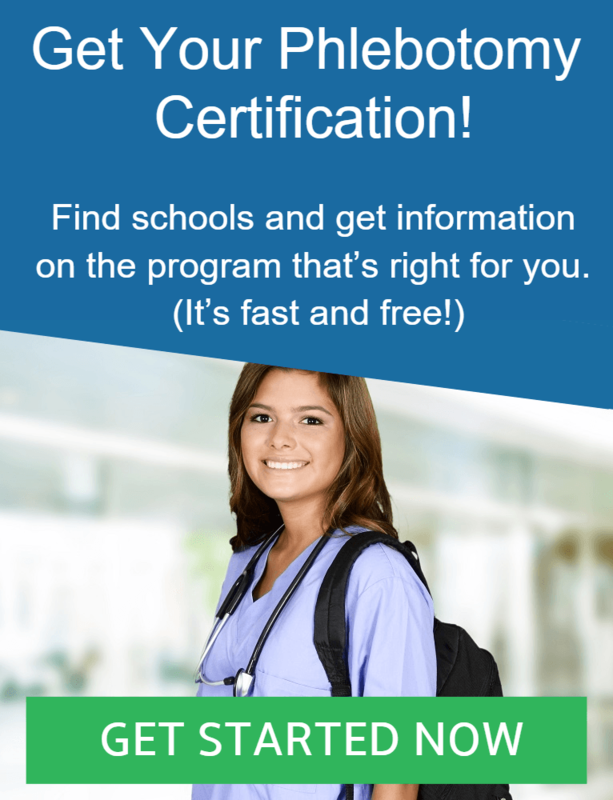 Luckily, the practice of phlebotomy has evolved since the early days and now phlebotomists must go through the proper schooling and develop the proper skills to land a phlebotomy job. Fact: In ancient times phlebotomy was used to rid the body of “evil spirits” or illnesses. So, that was a very high-level overview of what a phlebotomist is. Now, lets jump right in and take a more detailed look at phlebotomists and their day to day tasks. As mentioned above, a phlebotomist (also known as a phlebotomy technician) takes blood samples from patients and performs various laboratory tasks. Of course, there’s more to it than that! A phlebotomist must also have excellent and keen attention to fine details. They must ensure that each of the test samples are labeled correctly, as this is extremely important if the correct tests are to be effectively performed. This becomes even more vital if the patient is getting tested for life threatening diseases or viruses. In addition to paying attention to the finer details, a phlebotomist should have the ability to keep calm and stay focused under pressure. It’s possible to encounter 30 or more different types of patients in a single day, each of them with different reasons as to why they want their blood tested. 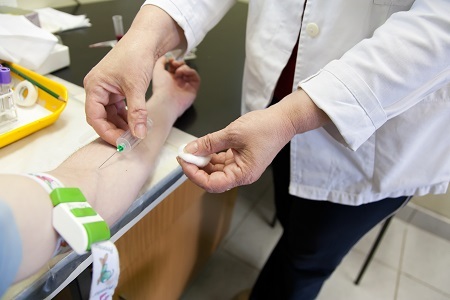 If a phlebotomist isn’t focused on what they’re doing, not only might the wrong tests be performed due to mislabeling tubes, but test samples might also get cross contaminated because of a lack of concentration. As mentioned above, avoiding this can be vital! The hazardous nature that comes with dealing with patients’ blood means that phlebotomy technicians should strictly adhere to all the laboratory safety procedures. They should ensure that the lab area that has been designated for phlebotomy, is thoroughly cleaned and properly sanitized after every patient leaves so as to prevent a spread of diseases. One often overlooked part of the phlebotomist’s job is to make the blood drawing experience as pleasant as possible. This includes everything from making needle incisions as relatively pain free as possible all the way to calming down those afraid of needles. This skill is necessary for anyone practicing phlebotomy. Fact: Trypanophobia, the fear of needles, affects over 10% of the human population! Phlebotomists are well-versed in caring for these patients. Phlebotomists should not only be great communicators, but they must also be good listeners. Having the ability to listen and quickly adjust to the desires and needs of the patients could actually be the difference in regards to stress free patient visits and stressful ones. And, of course, phlebotomists must also know how to work with computers, iPads and other high tech lab equipment. A phlebotomists working conditions are generally comfortable, and their hours are usually steady, however, they can vary according to their location. Due to the fact that large medical facilities may remain open for 24 hours on most days, this can mean that many entry level phlebotomists will work in evenings and during the late night shifts. They might also work on holidays and weekends, depending on the demand. A phlebotomist’s day to day routine may vary depending on the working environment. The general activities of phlebotomists involve hands on, direct patient care when performing the blood draws. They also perform various administrative duties like labeling specimens, preparing the specimens for medical testing, completing paperwork, using computer programs to enter patient data, among many other tasks. Greeting patients, receiving the written orders from the doctor, verifying the patients’ identity, and confirming that the medical records are all correct. Assembling the tools that will be used for the procedure. Briefly explaining the procedure to patients in order to create a comfortable environment of trust. Disinfecting the areas for the blood collection, and treating the collection areas after each procedure is performed. Labeling all the tubes that were used for the blood collection. Inputting the patients’ information into the computer systems. Assisting in the recovery of the patients who have adverse reactions during the procedure. Performing procedures like finger pricks, blood draws and blood sample tests. Applying dressing to the needle puncture. Delivering the blood sample to the right laboratory within the required timescale.